Belize is probably not the number one location on your list of countries you must visit. It should be. Sitting just on the Central American east coast, Belize benefits from Caribbean temperatures and beaches on the Caribbean Sea. More than that it offers a wide range of stunning attractions which tap into the ancient history of the region as well as being immensely enjoyable. A private villa in Belize will give you the luxury you deserve for your holiday as you explore our top five attractions. 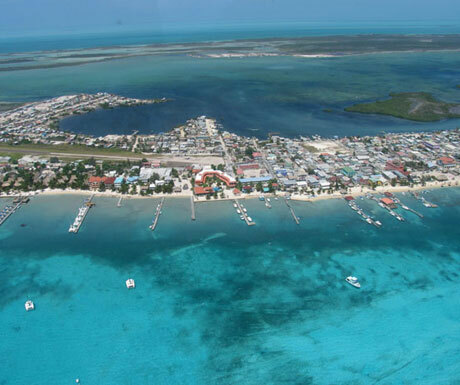 Ambergris Caye is the largest of the islands that belong to Belize and sit in its northern waters. It’s the top tourist destination of the country due to its relaxing, laid back atmosphere and Caribbean feel. No high rise hotels and big city traffic mean you can totally chill out and most people get around the isle by walking, cycling or renting golf carts. Lamanai is a former Mayan settlement which can be visited as ruins. It’s not 100% uncovered but it’s a fascinating look at the history of an ancient people who dominated Central America. Archaeologists are working in the area constantly to uncover and restore larger structures such as temples and dwellings. Lamanai translates from the Maya for submerged crocodile. Actun Tunichil Muknal is a cave in the Tapir Mountain Nature Reserve. Near to San Ignacio the cave was discovered in the early nineties and found itself the feature of a National Geographic Explorer film. It’s been explored and discovered to be a sacred site for the Mayan people and contains many mementos and artefacts of the ancient civilisation. The site even includes several sets of human remains – preserved thanks to the covering of limestone crystals formed naturally. Xunantunich is another Mayan ruin site which sits near San Ignacio. It’s within viewing distance of the Guatemalan border and has a range of different structures of different sizes and ages. The majority of ruins date from between 200 and 900 BC. The second tallest structure in Belize, El Castillo, sits at Xunantunich so is a great spot for taking some timely photos and adding even more memories to your break. One of the many reasons to travel somewhere exotic is to enjoy things you can’t enjoy at home and see things you’ve never seen before. Cockscomb Basin Wildlife Part is one of Belize’s largest protected areas. It’s existed since 1990 and was originally protected as the world’s first wilderness sanctuary for the jaguar. There are a large number of jaguars living in the sanctuary, although they are rarely seen. Instead you will see many exotic birds and plant types. 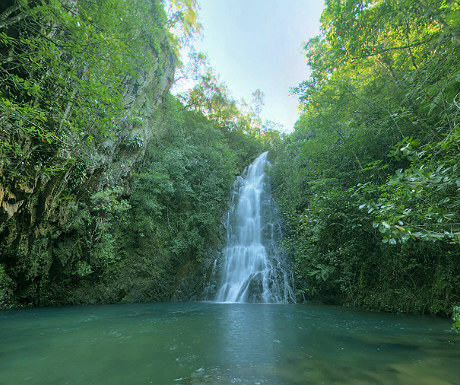 Lounging in private luxury is one thing but if you’re enjoying somewhere as fascinating as Belize you should head out to see at least some of the sights.